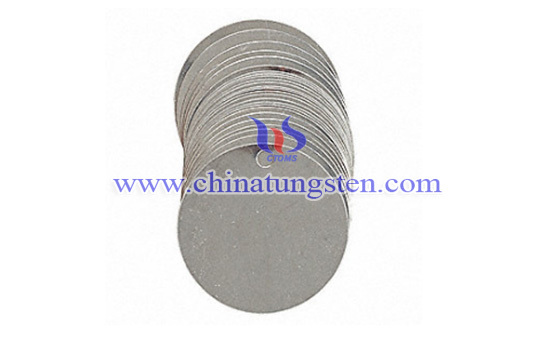 Tungsten tag can be used as an indicator to play an important role in marking and warning. It also is a kind of information transmission media, which has the functions of advertising and warning. This round tungsten blank tag is blank on its surface so as customers can engrave some symbolic, suggestive, directional writings, marks or patterns according to their own specific purposes. 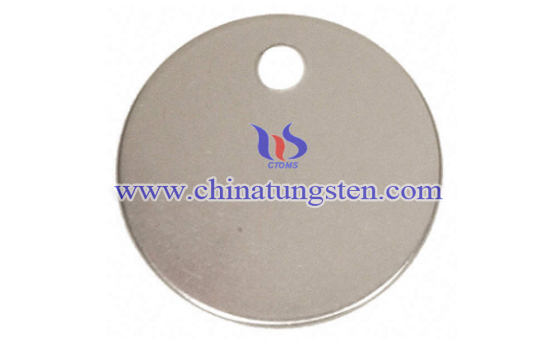 With the unique functions, tungsten blank tag can achieve its maximum value. 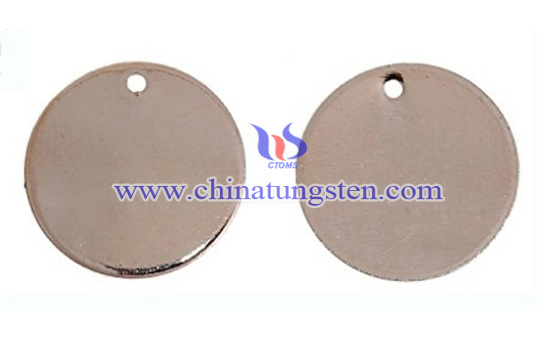 The main material of blank tag is tungsten alloy, with the characters of high hardness, corrosion resistance, oxidation resistance and environmental protection, ensuring the long service life of this product. 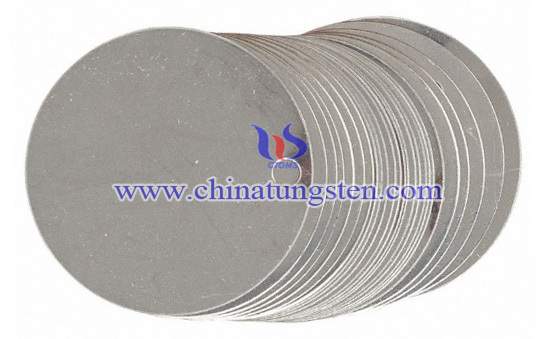 If you have any interest in round tungsten blank tag, please feel free to contact us by email: sales@chinatungsten.com sales@xiamentungsten.com or by telephone:0086 592 5129696.